The Big Bang of the Android universe happened not a long time ago and its expansion is about start. The first galaxy to have ever been conquered there resigned itself to the power of the Battleship T-Mobile G1 that was, until several months ago, the only one battling on the new frontier. A new player, the HTC Magic, entered the arena a bit later and Samsung has recently announced their Galaxy I7500 space traveler will be traversing the realm really soon. 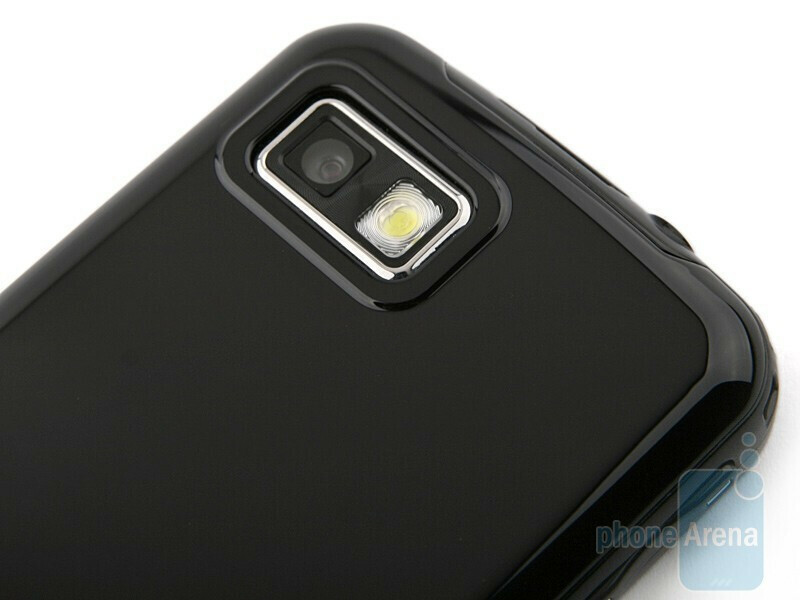 It´s not that dissimilar from the HTC Magic, but sports a 5-megapixel camera and AMOLED display. Samsung Galaxy I7500’s outer appearance does remind us of the HTC Magic with its particular shapes and overall look, aside from the navigational buttons located below the 3.2-inch capacitive AMOLED touchscreen that also features a light sensor to help regulate its brightness. Image quality is great with saturated and beautiful colors. 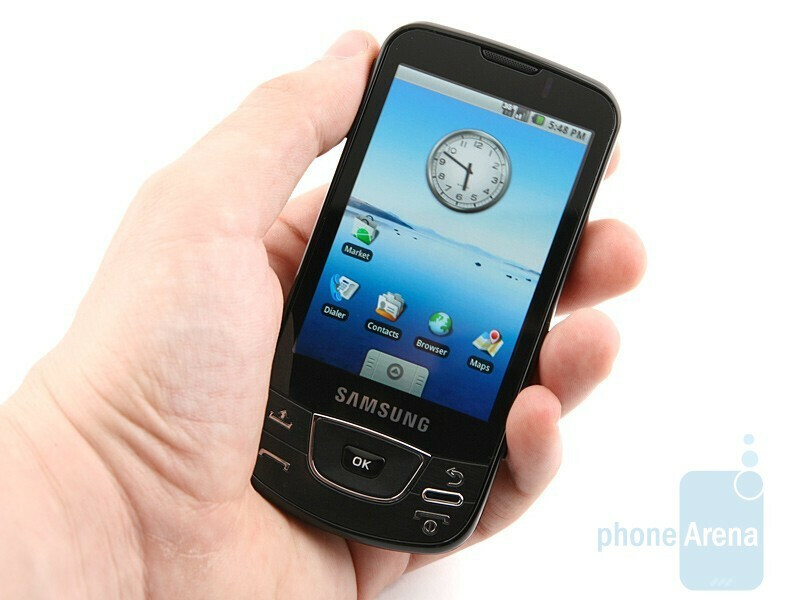 The I7500 is a bit thinner compared to the Magic, and is actually the most slender looking Android cell phone as of now. 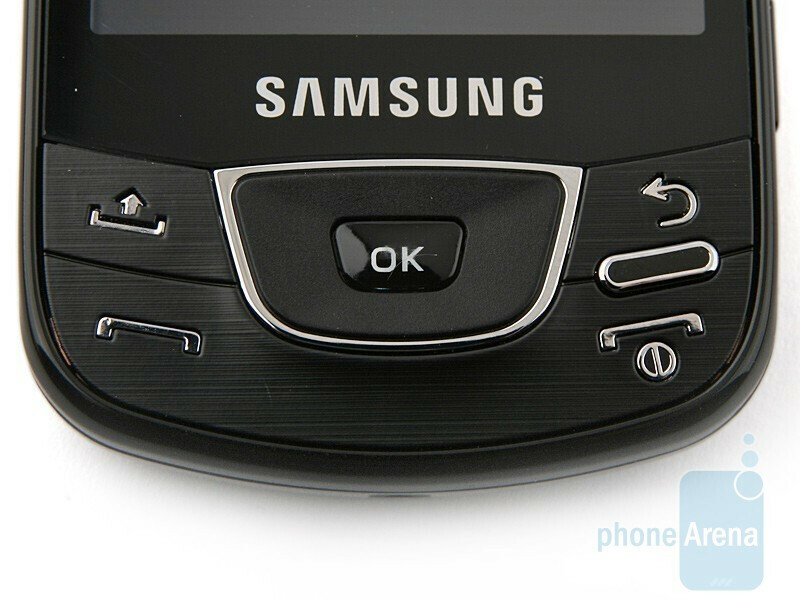 Instead of a trackball, it sports a D-Pad with OK button in the middle and there is another button on the left hand part of the pad with an arrow up on it, which is, basically, the alternative of the MENU button found on HTC manufactured Android phones. The smallest button bears no marking and actually gets you back to the home screen. As a whole, we do like all navigational buttons, because they are large enough and we hope they remain the same on the retail version. You can compare the Samsung Galaxy I7500 with many other phones using our Size Visualization Tool. There is a small button on the right hand side of the phone, marked with a tiny padlock, that doesn’t seem to be working on our prototype. We guess it will be operational on the final units and the current function of the end button, that now locks and unlocks display, will be changed. 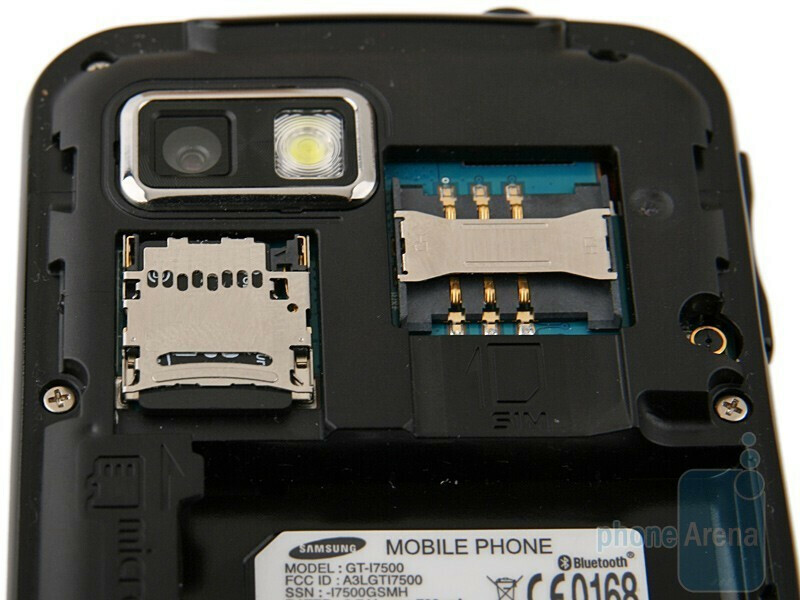 Both 3.5mm jack and microUSB port are on the upper side of the device and we welcome these with open arms. 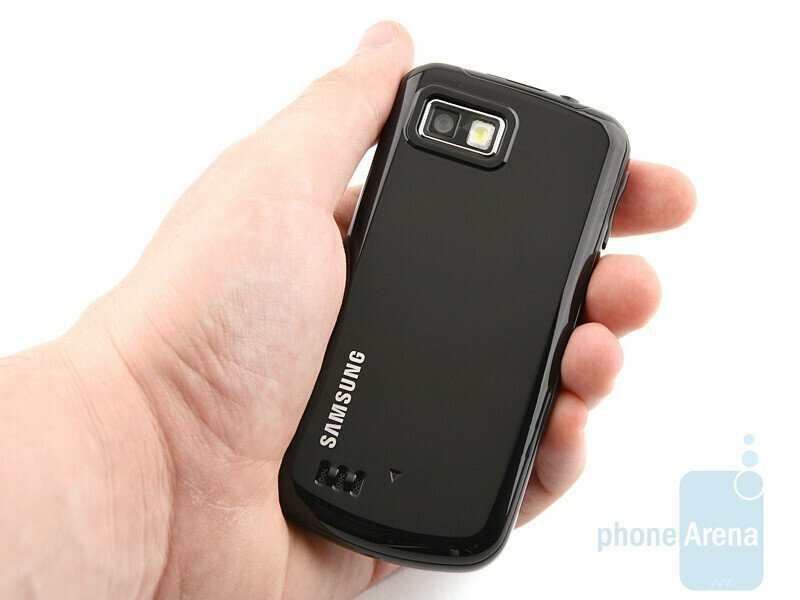 The back side hosts a 5-megapixel camera with LED flash and a loudspeaker. from you tube demos i've seen, the phone is not really a touch-screen. you use the d-pad to scroll through "pages" of menu or contact list, etc. the only time you "touch" the screen is when you tap an icon to open the app... is it so ? No, it is a full touchscreen phone - stay tuned for our video preview, which will be published soon. The keyboard look slightly different from the cupcake the ?123 key, is there more than one keyboard style like a phonepad or is there just the qwerty keyboard. Thanks. 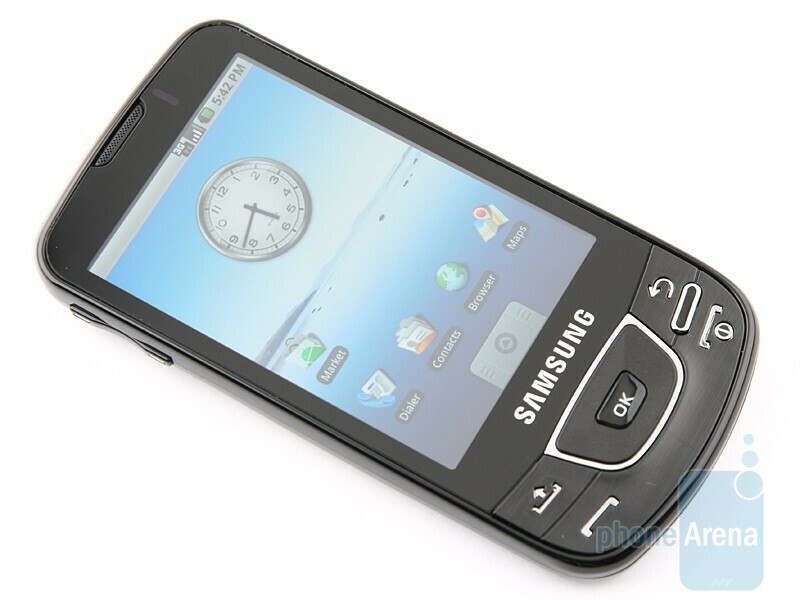 The virtual keyboard and the dialer (phone pad) are exactly the same as the ones of the T-Mobile G1 with Android 1.5 UK ROM. But still, their appearance may be changed in the final version of the device. You know, I really like what I see! I, however, think that an optical mouse would be GREAT and be just as functional without taking up as much real estate on the phone as the directional pad with the "ok" button at the center of it. I'm excited to see the upgraded OS as well! Hi could you verify if the BT data transfer is working or the android fix is still unsolved ?? Wow this phone looks really nice and I love the memory expansion slot and standard headphone jack over the usb headset. But that begin said it Samsung that worries me they have release a lot PoS bricks here in the US and this being samy first try at android phone I got doubts. I am moving from verizon and their insano rates to tmobile or sprint, if I go Tmobile it going to be a full service android phone, nice first look just wish it wasn't made by samsung. out now in germany from o2.... how about the actual review ? Seems like a great phone, but any word yet on availability in the UK? we are now in the middle of June and we don't even know if it will get to the UK and if it will, which carrier will supply it?